“Seeing” is not simply glancing on the dots and strands in our field of vision. 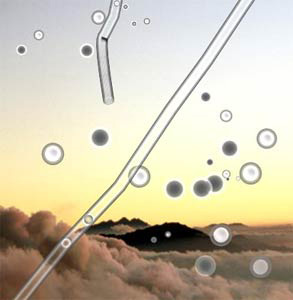 It means to see the properties of floaters – movement, luminosity, constellations etc. – in states of increased energy, as well as to intuitively realize their meaning. Because the inner energy plays a central role for seeing, the seers pay a lot of attention to its use. This includes an understanding of human beings as an energetic system. We take energy from the environment, convert it and use it consciously or unconsciously for our biological life as well as our daily activities (see Nestor’s Knowledge in the News 1/14 and News 1/12). However, according to the seers, activities such as bodily movements, sexuality, or feeling and thinking are manifestations of subtle energy and can be converted back to this energetically form. This can be achieved by increasing the psycho-physical activity, and/or by calming down physical and mental movements – both will raise the energy and eventually let it flow into the entire picture, experienced as prickle feelings and ecstasy. 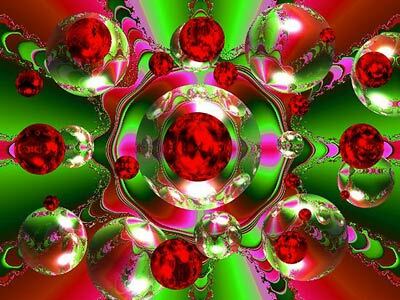 Seers see that ecstasy has two effects: first, the basic structure lights up. And second, the seer starts to move in a spiritual sense: he or she flies through the layers of the basic structure and approaches the spheres and strings. Floaters are not part of any particular religion, religious denomination or belief. Those who see them, however, often are. People like Kellie Herring show us that floaters are not simply a spiritual phenomenon. But that they can be understood in line with religious teachings and can be part of a religious life. Floaters and Christianity – at first glance, they may be strange bedfellows. However, the visions of the prophets do show floater structures [stay tuned for my article on that subject]. In addition, the lifestyle and exercises required for seeing floaters, as recommended by the seers, certainly somewhat parallel Christian teachings, in particular Christian mysticism. At the same time it is clear that the Bible is a finished work, and that the “ground personnel” of the Church only accepts the visions of contemporary believers as divine messages if they conform to the Bible. This is a matter of discretion, as Kellie’s experience shows: When I asked her how the pastors responded to her reports of floater visions, she told me that they offered prayers and advised her to pray. However, the pastor of the church she attends now believes in the divine nature of her visions. Still, there is a difference between the Emmental seers’ way of seeing floaters and the visions of Christian prophets and visionaries. Christian visionaries are believed to be God’s chosen vessels to convey a divine message to the people. 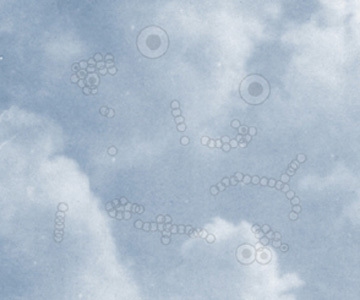 Eye floaters or other entoptic phenomena per se are probably not recognized as God’s messages. They have to appear as part of a vision that can be linked to the Bible. Thus, floaters in visions may appear as nimbus or aureole of Jesus, or as wheels or eyes of God’s flying chariot (cf. Tausin 2012). 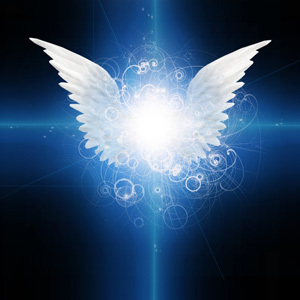 Kellie, for example, had a vision of two angels who lit up the floaters with their divine light. For the seers, however, such dream images and visions indicate that energy cannot yet flow freely into the picture as a whole. They should be resolved to see floaters as pure consciousness lights, not shaped by culture and religion. Thanks, Kellie, for sharing your experiences and your take on floaters! What if the medical technology could reshape our floaters as we like? What if it was possible to shape structures from our dots and strings that we know and that are meaningful to us – like animals, angels, symbols, perhaps even whole words and names? The work of Fabian Wyss seems to parody the individualism of modern man that is subjected to market mechanisms: Even our “eye rubbish” can be taken to serve our illusionary hunt for self-realization, while simultaneously we remain consumers loyal to the system. Ironically, the “Entoptic Laboratories” with their “ophthalmic fine art” actually exists: Only that they are still called “eye clinics,” while their art is known as “vitrectomy”, and they do not form shapes, but extract them – most of them, anyway. Because our field of vision has to satisfy our demands. The author H. Ümit Sayin explores the question of whether phosphenes and entoptic phenomena are part of an archaic and forgotten language of visual signs and symbols. This language is generated by the central nervous system and has entered into the collective unconscious. During altered states of consciousness, shamans could access ancestral information, which was important for survival and evolution of man in the Stone Age. Psychoactive plants have been used in rituals and ceremonies since Upper Paleolithic times. In particular hallucinogenic psychoactive plants induce states of consciousness in ritual participants – led by shamans or medicine men – that allow them to experience extraordinary perceptions and visions. 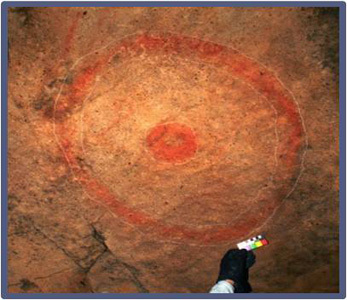 Some researchers believe that the geometric motifs of Stone Age rock art represent such visions. Furthermore, Sayin believes that these experiences have influenced religious ideas, symbols and images and were passed down to the modern monotheistic religions. Because the appearance of supernatural beings such as ghosts, gods, demons, as well as out-of-body experiences and flights to the Other World would be hard to explain without referring to hallucinogens. Furthermore, many religious symbols are composed of geometrical shapes that look very similar to the entoptic phenomena which are seen during altered states of consciousness. Referring to clinical studies, the author shows that, under the influence of hallucinogens, people not only see entoptic forms, but at the same time have mystical experiences as well. In addition, they are more able to make arbitrary associations and metaphors. All of this plays together and is taken as an argument that religions neither are inspired from the outside, nor are they invented by man; instead, they are “innate”. Sayin outlines this process as follows: The early people who neither knew writing nor language have developed abstract concepts of vital experiences. They used the geometrical entoptic images that could be distinguished as lines, squares, circles, ellipses and so on. Over thousands of years, these patterns have become ancestral information as well as building blocks in the human nervous system for abstract thinking. The recollection of these archaic life experiences from the collective unconscious during shamanic rituals and ceremonies empowered man to keep the information alive and to pass it on to the next generation. The phosphenes and entoptic images thus did not simply originate from our central nervous system, but they are archetypal images of the “collective unconscious” (Carl Gustav Jung) that then have established in myths and the arts. They are, eventually, a part of a forgotten “archaic neurological optic-language”, which was important in the evolutionary process and the survival of the species. H. Ümit Sayin’s contribution is not a study in the strict scientific sense, but a somewhat bulky essay within the scope of the new and controversial discipline “neuroquantology” where consciousness research, neuroscience and physics meet. To us, it is an inspiration for the understanding of entoptic phenomena in general and of floaters in particular – although the author does not mention floaters. To begin with, the author confirms what we already know: the interpretation of Stone Age rock art as shamanic visions during ritually induced altered states of consciousness; or the idea that these signs have developed into religious symbols over time (cf. Tausin 2010, and the Lead Story in this newsletter). 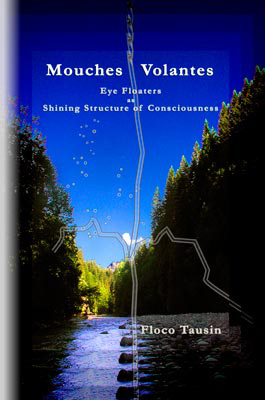 An interesting idea that may be considered for the spiritual work with floaters is Sayin’s suggestion to understand entoptic phenomena as archetypal images. “Archetypes” are, according to the Swiss psychologist Carl Gustav Jung, the basic structures of our psyche that make up the collective unconscious. This means that we cannot access the archetypes directly, but that they influence our perception and behavior. And that they appear as similar projections in every individual and every culture. To Jung, archetypes were not only certain patterns of instinctive behavior and experience, but they also appear as images in myths and dreams. According to Sayin, entoptic images are a stage between archetypes and further culturally shaped archetypal images. The author does not ask about the spiritual aspects of this fact, but he is interested in its meaning for cross-generational communication and the evolutionary advantage in human development. However, the relationship of entoptic phenomena and archetypes also has importance for the individual consciousness development. For example, if the archetypal ideas about heaven, heavenly light, the divine, the beings of the upper world and even UFOs and other celestial phenomena (Jung 1979) have developed on the basis of floater spheres, then seeing these spheres – whether in the sense of meditation or as inspiration for the philosophical, psychological or artistic exploration – can be taken as working with an archetype. 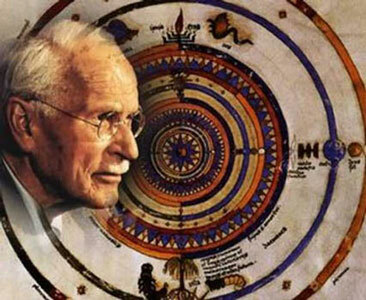 According to Jung, that archetype would be the mandala (Sanskrit: mandala, “circle”), the central archetype, which symbolizes the self and self-centering (Jaffé 1963). Thanks, Chuck and Colin. I appreciate your feedbacks! Happy shining holiday to all of you out there!